The Garden Route National Park is famous for its pristine coastline and magical forests, and here the journey really is as important as the destination. Don’t follow the crowd – discover the many attractions of the Garden Route somewhat differently: from group rides on a Segway, searching for the park’s biggest trees, to floating on lilos and zipping through mountainous terrain on a scooter. Wild is giving away two amazing prizes for you to explore the beauty of the Garden Route. 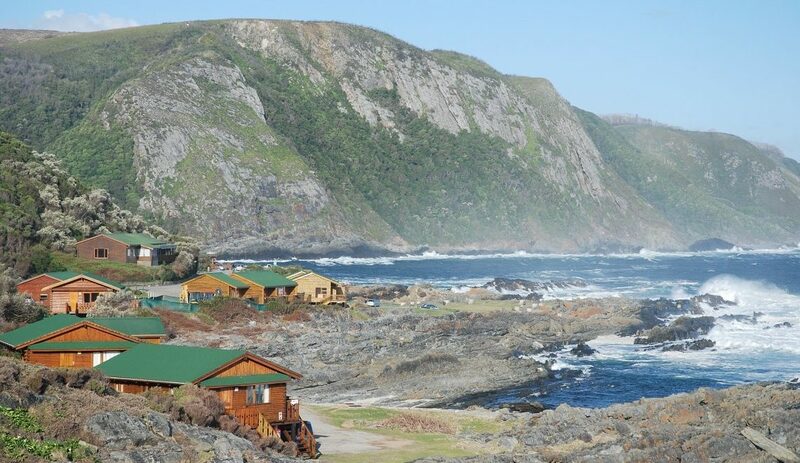 Up for grabs are a two-night weekend stay for two at Ebb & Flow Rest Camp AND a two-night weekend stay for two at Storms River Rest Camp, each to the value of R4,000. Answer our simple question below to be entered into the lucky draw. Good luck! The wild and wonderful Wilderness Section’s Ebb & Flow Rest Camp offers something truly unique: meandering through the Kingfisher Trail not on foot, but on an off-road, self-balancing two-wheel personal transporter: the Segway. The one-hour Wilderness Segway Tour makes its way through fynbos landscapes and wetlands, offering great views of the Touws River. Tours include a 15-20 minute training course, cost R350 per person and need to be booked in advance. 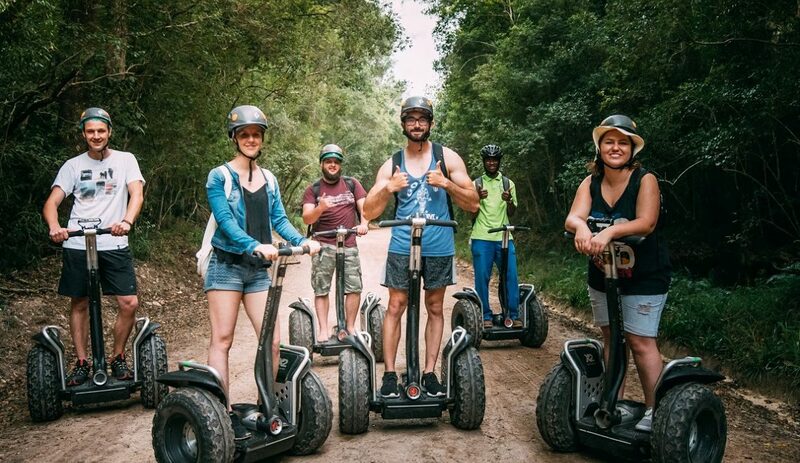 Families or groups of friends can also head to the Tsitsikamma Section for Segway adventures through the Tsitsikamma Forest or Storms River Village. Ever seen a Monster Mountain Scooter? Jump on one of these Swiss-designed, non-motorised and eco-friendly scooters for a Knysna Forest experience that will leave you enthralled. Scootours, a first in South Africa, offers downhill routes through one of the country’s most beautiful indigenous forests. Tours (duration of two hours) depart from the Quay Four Restaurant at Knysna’s Thesen Island and ticket prices vary from R195 (junior passenger) to R450 (solo). Parents, take note that all scooters can handle one adult with one youngster under 10 as a passenger. The Diepwalle Big Tree, also known as the King Edward VII tree, stands near the Diepwalle Forest Station, part of the Knysna Lake Section. This Outeniqua yellowwood (Podocarpus falcatus) is more than 800 years old – and still standing strong. Situated in the park’s Wilderness Section, Woodville’s 31m tall Outeniqua yellowwood is sure to mesmerise you. It’s old, big and beautiful. The Tsitsikamma Forest offers an enchanting and magical yellowwood heaven, west of the Paul Sauer Bridge along the N2. Take a selfie with the 36.6m tall Tsitsikamma Big Tree, believed to be between 600 and 800 years old. #4: A lilo in the wild? It would be a sin to venture through the Garden Route National Park and not visit the scenic Storms River Mouth, part of the park’s Tsitsikamma Section. Why not turn it up a notch with a kayak and lilo adventure up the Storms River? It’s a fantastic new way to enjoy the Storms River Gorge’s deep pools, caves and many forest wonders. The two to three-hour tour kicks off with a paddle across the ocean, passing underneath the suspension bridge all the way to the river’s mouth where relaxing on a lilo marks the perfect end to an unforgettable day. Paddlers will also get the chance to leap from a cliff! Tours cost R500 per person and aqua booties and wetsuits can be rented from the tour operator, Untouched Adventures. From the Ebb & Flow Rest Camp in the park’s Wilderness Section, choose between several canoe routes on the Touws and Serpentine rivers. To make life easier, canoes and gear can be rented from Eden Adventures at the camp’s Visitors Centre. On the to-see-list are various bird species (including the famous Knysna turaco), indigenous forest scenes, Island Lake and the waterfall on Kaaimans River. Opening times are 08:00-17:00 and rates vary from R120 to R340 depending on the duration of the trip (1-5 hours). Email the answer to the question below to [email protected] (subject line: Garden Route) and stand a chance to win a two-night weekend stay for two at Ebb & Flow Rest Camp, or a two-night weekend stay for two at Storms River Rest Camp, each to the value of R4,000. The competition closes on 23 April 2017 at 17:00 and Wild will randomly select the winners. Remember to include your full names and contact details. Entrants must be 18 or older. All accommodation is self-catering and winners will be supplied with an accommodation voucher (excluding high seasons) valid for a period of a year. Terms and conditions apply. Question: What’s the name of the tree also known as the King Edward VII tree? We want to know where you go, what you get up to, and what you love. So be sure to tag your pictures with our hashtag, #wildadventuregoals, and share with us on Facebook, Twitter and Instagram. At the Woods Guest House.